You know, blah builder beige. Brace yourself for mediocrity. 1. We've been in the full swing of Kindergarten for about a month now. Can you tell by the look on her face whether or not she still likes it? I'm very thankful that she does. In fact, she loves everything about it, which is good. Her teacher is loving, but firm and structured, which is also good. She has homework a few days a week, usually handwriting practice, an activity to do for a certain letter or a reader (I use that term loosely since there are very few words, mainly pictures). I decided I liked it too. 3. Friday night we did something I haven't done in over 20 years. We went to a football game. My old high school football game to be exact. 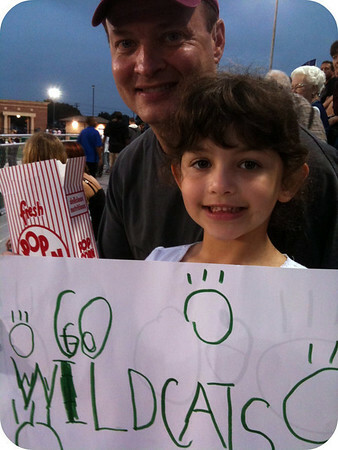 When we told Annelise we were going that night, she decided a sign was in order to encourage the team. All in all it turned out to be a fun evening and we plan to go to at least one more game this season. I was a little shocked by the general teenage attire and hearing casual F-bombs being dropped as we walked to the stadium in front of some teen girls. Sigh. We left after halftime, but checked the scores later and my alma mater won 42 to 35. WooHoo Clear Creek!! 4. Annelise is having round two with The Semi-Plague, except this time there's no fever (thank goodness), just congestion/cough. I don't know if it's the weather changes we've had or just another perk of Kindergarten or both. 5. So it turns out that the cooler temps earlier were just a scam. Heat and humidity came back with a vengeance over the weekend, much to my dismay. Scott still brought the fall boxes down, I cranked up the air conditioning and ceiling fans and I pretended I lived somewhere with actual seasons while I decorated (will post pics soon). Yawn! Could this post be any more boring? I don't think so. I'm putting myself to sleep just typing this drivel, so I think I must put it (and you) out of its (and your) misery. I'm glad she's still loving kindergarten, though really what's not to love? It is such an adventure for those little kids, I can't imagine them not loving it. I like your jammie look! I haven't been to a high school football in 20 years either! 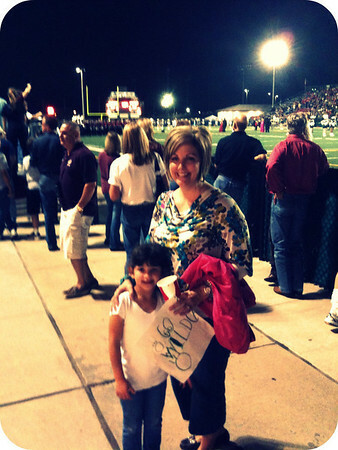 Though I do watch a lot of Friday Night Lights so it really doesn't feel that way. I was in Houston in October and I remember it was nice, does it cool quickly from Sept to Oct - or is it still hit or miss? I hope for your sake that you get those cooloer temps! Wow, a HS football game. I haven't been to one since I graduated - what a fun idea! I love A's desire to support! So glad that Kindergarten is going well! I have enjoyed catching up on your posts! Seriously, if you were not my friend I would want to spend some time over coffee together so you could make me laugh!!! Your look on life is just plain fun to read! I brought up the car drop off line to K-Man this morning and his big blues eyes looked VERY CONCERNED. SO, no car line for us for a couple more weeks...the pj thing is such a good point! Do not get me started on girls attire!!! Enough said!!! I'm with you...were is our FAll! When is are next girl thing! 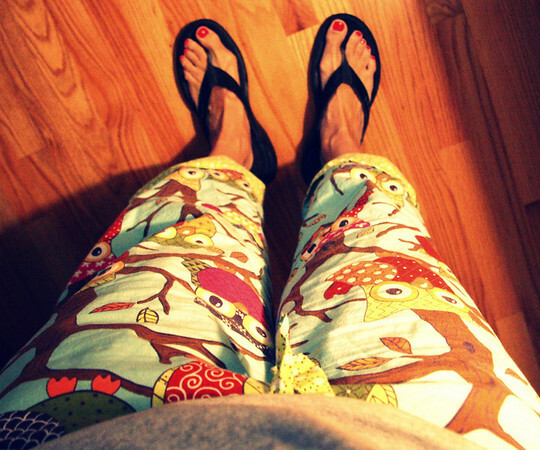 Those pj's are so FREAKIN' cute!!! Jealous. I love your jammies! And we're supposed to get fall this week - at least that's what my boy Anthony said! I love your pjs! So cute! 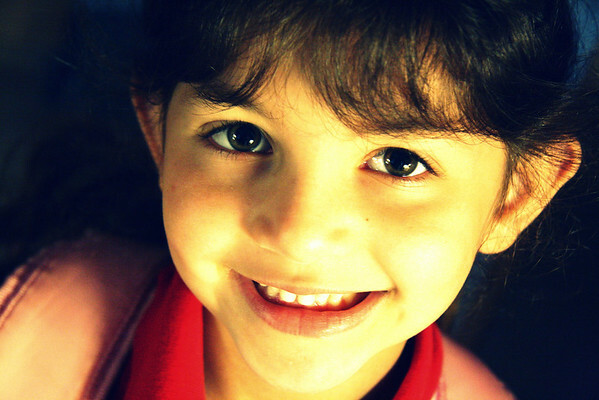 Doesn't it make you feel like you did something right when your child loves school? I mean, really, it probably has very little to do with us as parents, but there is still a feeling of goodness to it. At least for me. F-bombs make me crazy. I hate swearing. Finished Here Be Dragons and was sad to leave the story. Thanks for suggesting it, I'm so glad I stuck with it.